Issue: Opening SLDPRT error: SolidWorks is not installed on this computer. Solids History can only be read if SolidWorks is installed. 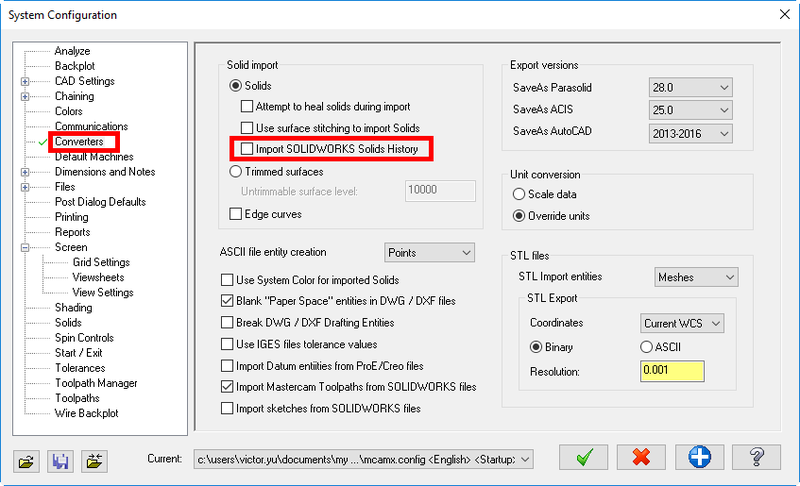 Ensure Import SOLIDWORKS Solids History is disabled. We have had Mastercam since 2010 and have struggled with the software until we received some custom training from In-House Solutions. Now we see the added value in the system, and I would totally recommend custom training!